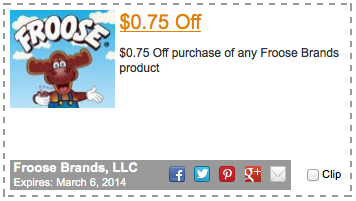 Get $0.75 off with this Froose printable coupon! This entry was posted in printable grocery coupons and tagged froose coupon, froose printable coupon, frosse, printable cupon by commonkindness. Bookmark the permalink.